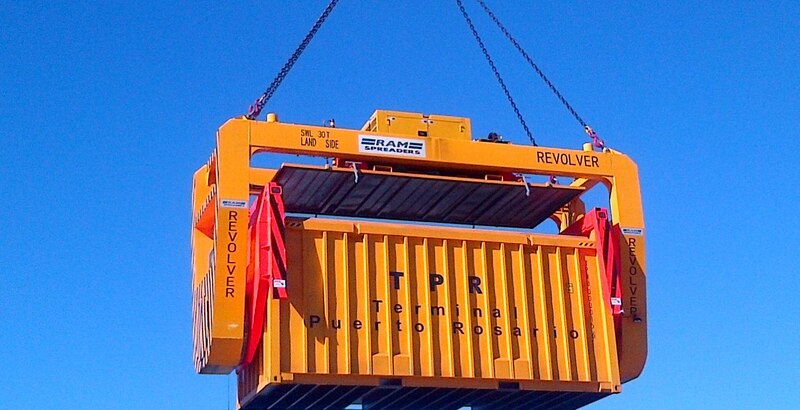 Terminal Puerto Rosario has revolutionized the world of cargo and bulk storage, becoming the first port terminal in America to implement the revolver system. RAM are happy to report on the recent news posted on TPR’s website. click here to view TPR’s news article in spanish language. 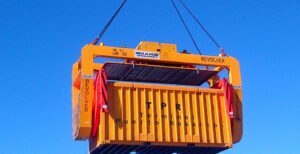 The news from TPR follows the successful introduction of the containerised bulk handling system using rotating spreaders. This system has changed the way in which TPR export grain in a safe and secure method. With no contamination of material, as the commodity is transported in sealed containers from the facility until it is tipped into the ships hold. Click here to read TPR’s article in english language.